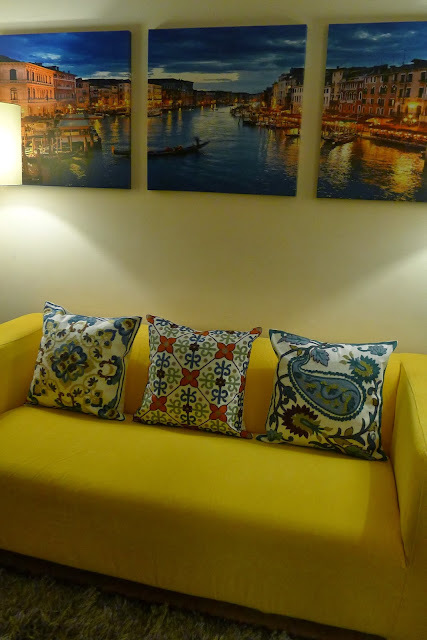 Here's what I am loving now, needlepoint pillows! 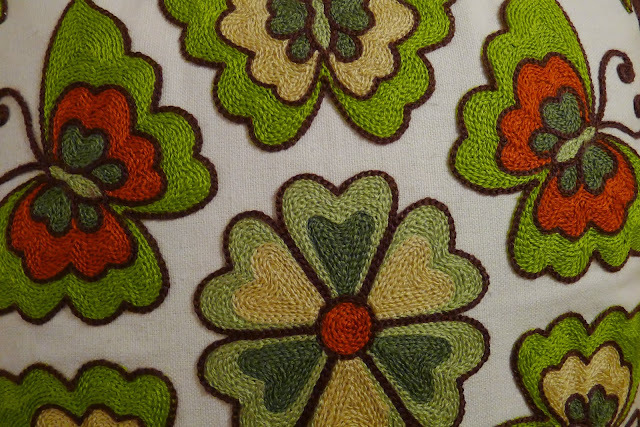 I discovered these intricately embroidered pillows entirely by accident over the weekend. 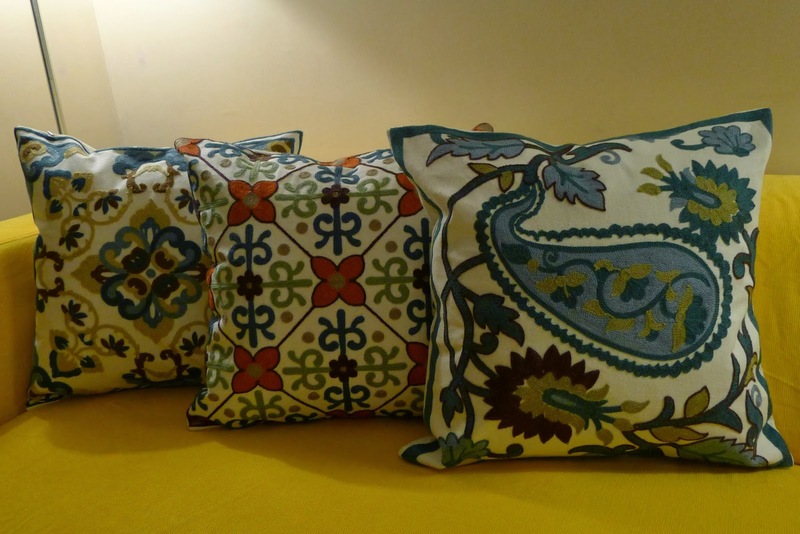 What I like about these needlepoint pillows is that the designs are colorful and the threads used on each pillow are of the same color family, which makes mixing different patterns much easier. 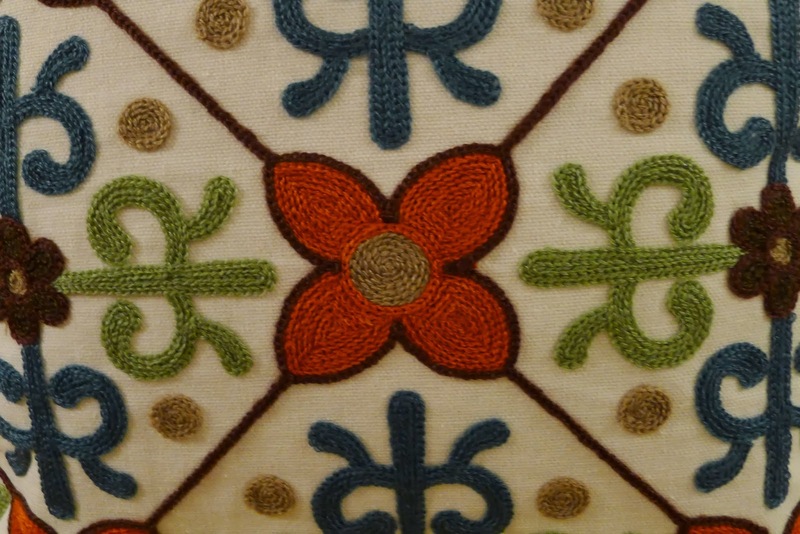 Here's a closer shot of the needlepoint design. I have a hunch that these may be for export due to the high quality of the craftsmanship. Here's a collective shot of the needlepoint pillows on our sofa. 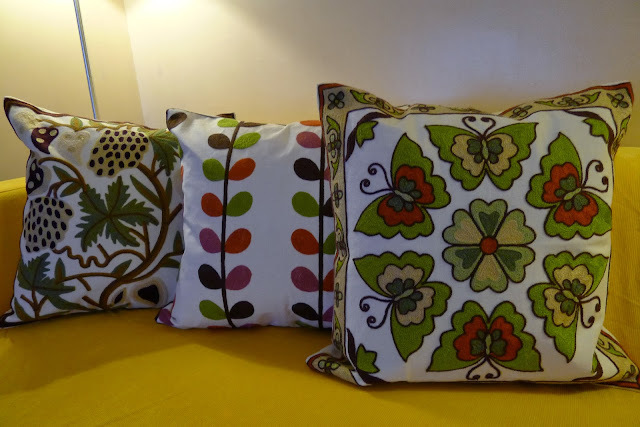 I particularly like the one in the middle which reminds me of Orla Kiely's trademark leaf design. Of course, I couldn't help but buy another set, but this time in a color scheme that uses teal and brown hues predominantly. I keep thinking, if I don't get them, maybe I won't be able to complete a set anymore in the same shade as I noticed that people were going crazy over these needlepoint pillows. Here's a collective shot of the needlepoint pillows on our sofa. 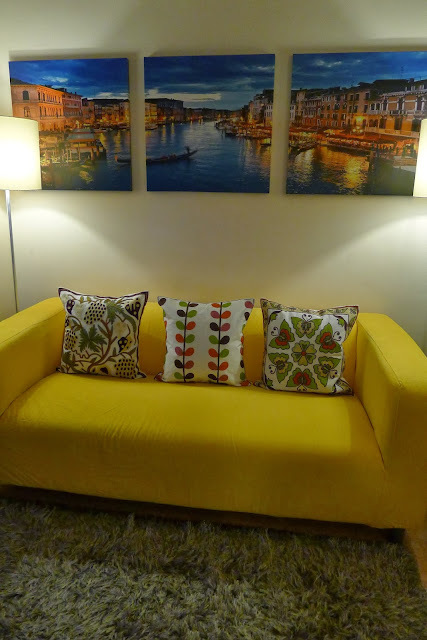 I just love how the orange hues pop out on the middle pillow. Do you love needlepoint pillow covers? Or maybe would like to give them as gifts?